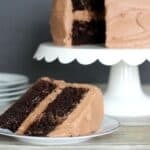 This easy double chocolate sour cream cake is super easy to mix together and bakes up the same every time. It starts with a box mix, but you add other ingredients which really makes the difference. If you are hesitant to use a box mix, don’t be. They are so predictable, unlike a scratch cake…which is a good thing. 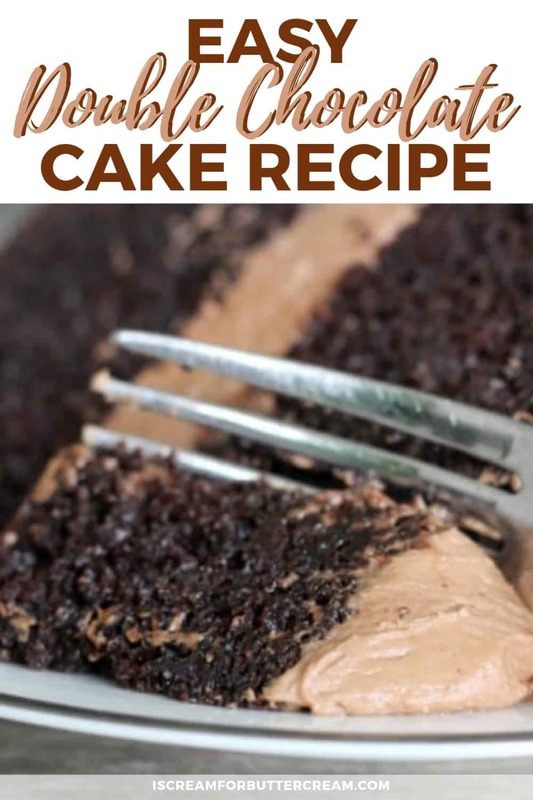 With all the added ingredients, it doesn’t taste at all like a cake mix cake, but you get the ease of using a mix. I will admit, when I was taking cake orders, I used a scratch cake recipe. It was truly awesome, but I will tell you no matter how good you are, sometimes a scratch cake just doesn’t turn out the same every single time. This cake is a ‘no-worries’ cake. Try it out! I think you’ll love it. 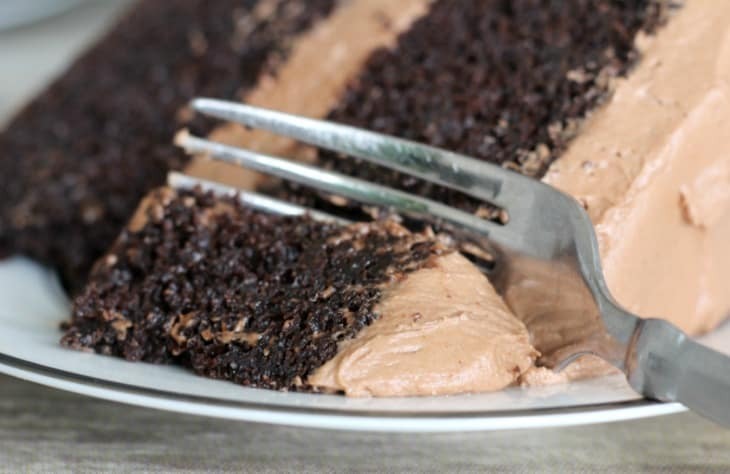 Confession time: Chocolate cake isn’t my favorite. I’m more of a vanilla kind of person, but this chocolate cake is amazing and if I’m saying that, then it REALLY means something. 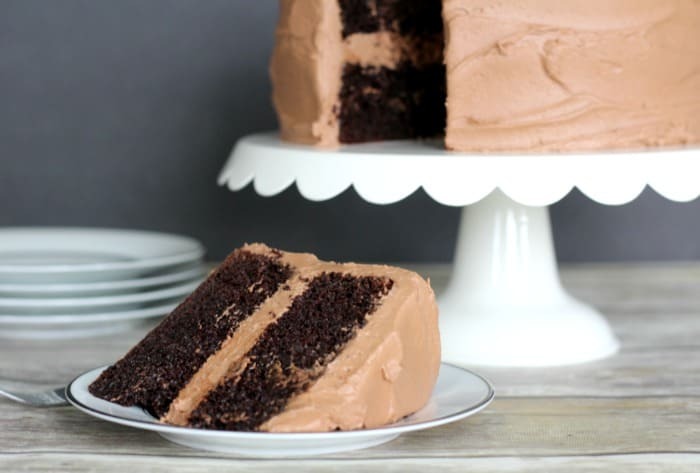 Make this cake using my Double Chocolate Buttercream recipe and you will be in chocolate heaven. 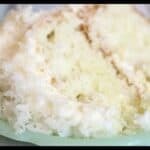 Also, check out this post to see how to freeze cakes and cupcakes. Oh, and this recipe also makes great cupcakes! An easy, rich chocolate cake your family will ask for again and again. Melt the semi sweet chocolate and set aside to cool. Put the dry ingredients in a bowl and whisk together. In another bowl, mix the wet ingredients (except the chocolate), then pour onto the dry ingredients. Beat on medium speed for about one minute. Scrape down the sides of the bowl and beat again on medium for another 30 seconds. Pour in the melted chocolate and mix on medium, just until combined. Pour into greased and floured pans. This recipe will be enough for 2, 8" round pans that are 2" deep. Bake at 325 for about 45 minutes. Set the cake layers on racks for 10 minutes, then turn out of the pans onto the wire racks to cool completely. 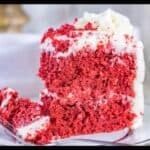 Baked cake layers can be frozen for later use. I would like to thank you for this recipe. I bought about 20 boxes of PME cake mix which only requires water. The taste is to put it mildly, absolutely terrible. Thanks to your recipe, I could camouflage the taste. Awesome! I’ve never tried PME cake mix, but thanks for the warning! 😉 So happy I could help and glad you didn’t have to throw out all 20 boxes of mix! Can I do this with a box of vanilla cake mix? Except omitting the coffee and melted chocolate? 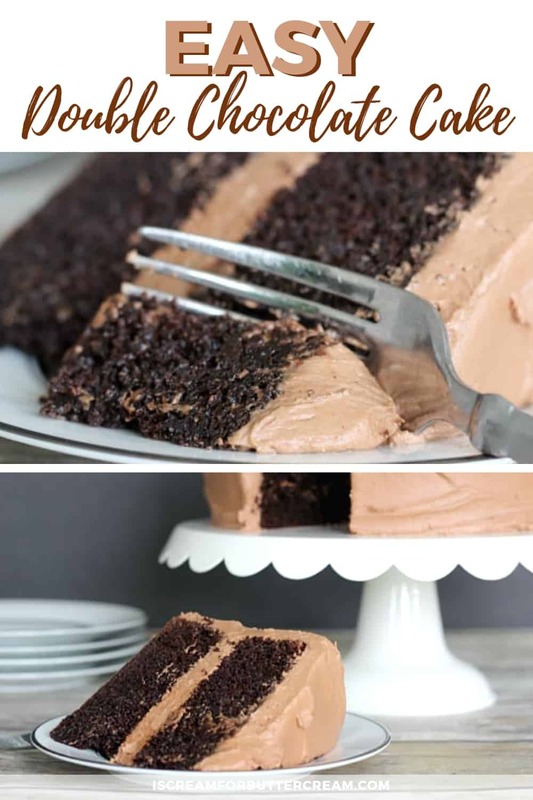 Does this chocolate cake recipe work well for stacked wedding cakes? I haven’t used it to stack cakes, but there is no reason why it shouldn’t work. It has a tighter crumb and not too soft for stacking. Yes, it does. 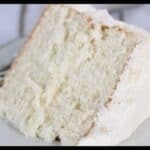 I use it all the time – as well as the Easy White Sour Cream Cake recipe. 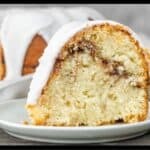 Would doubling this recipe make a 1/2 sheet cake? Any advice about the difference in baking time? Yes I think that would be plenty of batter. 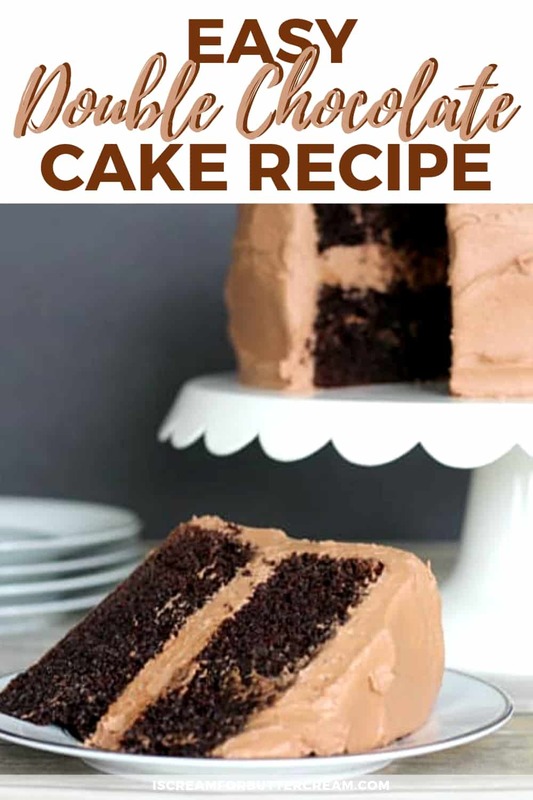 One recipe will make a 13 x 9, so double should be plenty for a 1/2 sheet cake size…actually you might have a bit extra for some cupcakes depending on how deep your pan is. Hi Kara, if I want to make cupcakes with this mix, what changes do I need to make? TIA! Hi Ana, I haven’t tried cupcakes with this recipe, or at least it’s been a long time since I have and I don’t remember it. 😉 But anyway, I wouldn’t make any changes to the actual recipe, but you won’t have to bake them as long as you would the cake. I’d start checking them at about 20 -25 minutes. You can try the toothpick test, or just barely tap on the top of one of the cupcakes and it should spring back a bit. Hope this helps! It does! Thank you so much Kara for taking the time to reply! Can’t wait to eat some! Does it matter what kind of coffee? Like instant coffee or another kind? Hi Kaitlyn, no it shouldn’t matter what type it is. Instant should be fine as long as it’s all dissolved. If you don’t have coffee, you could even just use hot water. I live in the Rocky Mountains. Are there any adjustments needed for high altitude? This may be a weird request. I am celebrating St. Patrick’s Day with a party. Always want to use one of your recipes. I would like to use one of your chocolate cakes with a creame de month buttercream. Would you have a recipe in your great bag of tricks? Hi Anthony, I don’t have a recipe for creme de menthe, but I suspect you could probably just use that in place of the liquid you’d add when making buttercream. For example, you could use the vanilla bean buttercream recipe and instead of the milk, just use creme de menthe. Taste it and see if it needs more and then add a bit more confectioner’s sugar if they consistency gets a little too thin. Hope this helps and you’ve definitely given me a great idea for a future cake!